Play World of Medieval RPG for FREE! This site is divided into different types of medieval play by post role-playing games. Each has its' own requirements. Play D&D RPG for FREE! Our Text RPGs utilizes an International Forum or as some may know it: "BBS", "Discussion site", or "bulletin board" as a medium for players to conduct role-playing middle ages genre games or what is known by many as Open Tabletop Role playing. Dungeons & Dragons is normally played in a tabletop environment where everyone meets in person, but we have D&D games running in one section of an online Forum environment with people from all over the world. The site, International Discussions, allows everyone to participate according to their time zone and abilities. It is very easy to get started. You just Join for free, introduce yourself and then create your character. Nothing to download, nothing to pay for. You are not required to make any special posts or have some special activity level but you should be active enough that players can expect your input. There is more than one D&D Scenario running so you can choose which one you want to join in. Play Pathfinder RPG for FREE! Based on the Pathfinder Adventure Path system try this new addition to the World of Medieval list of Medieval related role-playing games. It is easy to get started. You just Join for free, introduce yourself and then create your character. 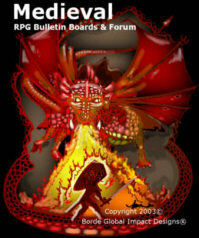 If you are not familiar with pathfinder then someone will assist you. Gwynedd Medieval Village PBP RPG is very unique to other RPGs because it does not use a dice or combat system. The focus is on pure dramatic Role-play. Players use their FP (Forum Points) to establish themselves in a Village called, "Gwynedd" by clearing land, setting up their home and adding upgrades to it. As they do so, their 'rank' or prestige in the Village grows. This is all about Medieval drama with you at the center. NOTE: This World of Medieval custom Play By Post Pathfinder Role-playing Game uses trademarks and/or copyrights owned by Paizo Publishing, LLC, which are used under Paizo's Community Use Policy. We are expressly prohibited from charging you to use or access this content. This International Discussions custom Play By Post Pathfinder Role-playing Game is not published, endorsed, or specifically approved by Paizo Publishing. For more information about Paizo's Community Use Policy, please visit paizo.com/communityuse. For more information about Paizo Publishing and Paizo products, please visit paizo.com. In the case of D&D, Wizards holds the copyright for its material. 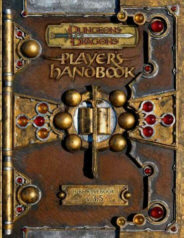 The versions most Players in our Community tend to use Dungeons & Dragons 2-3.5 although others may use higher versions.